The famed home of fictional gangster, Tony Soprano, New Jersey might be a compact state, but it packs in bustling cities, hedonistic seaside towns and excellent beaches. Separated from NYC by the Hudson River, New Jersey’s own cities might feel like an extension the Big Apple, but they have a charm of their own. 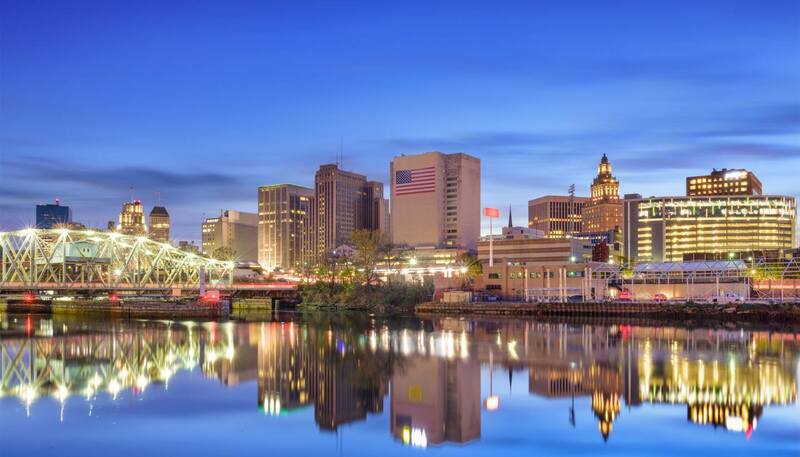 In fact, Jersey City’s creative culinary scene has wooed many visitors from the other side of the river, while Newark and Hoboken offer a gamut of cultural attractions, leafy parks and hallowed Civil War grounds. But most fun is the Jersey Shore, an irresistible stretch of coastline luring beachgoers to expansive sweeps of white sand, historic boardwalks and buzzing resorts. Atlantic City, a kind of Vegas-by-the-sea, glitters most brightly with its palatial casinos, whirring arcades and big-name shows, not to mention a full menu of watersports, as much saltwater taffy as your teeth can handle, and the state’s tallest lighthouse. For culture vultures AC also boasts modern art parks, professional ballet corps, and the Noyes Arts Garage, home to working studios, galleries and the African American Heritage Museum. Escape the city at Cape May National Wildlife Refuge, a protected area of swamps, grasslands and maritime forests frequented by hundreds of thousands of migrating birds each year. Or head further inland to Egg Harbor City, where the Renault winery has been keeping oenophiles tipsy for some 150 years, even continuing under a special permit during Prohibition (purely for medicinal purposes naturally). Adventurers can bike gnarly trails at Mountain Creek during the summer and return in winter to ski, or saddle up and explore northern New Jersey’s by horseback. 21,274 sq km (8,214 sq miles).